Reed Switch is a special switch and a main component for reed relay and proximity switch. Reed switch is usually comprised of two soft magnetic materials and metal reed contacts, which will disconnect itself when there is no magnetic. 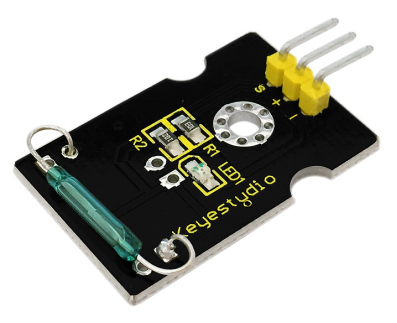 In addition, some reed switches are also equipped with another reed acting as the third normally-closed contact. These reed contacts are encapsulated in a glass tube full of inert gases (such as nitrogen and helium) or in a vacuum glass tube. The reeds encapsulated in the glass tube are placed in parallel with ends overlapped. Certain amount of space or mutual contact will be reserved so as to constitute the normally-open or normally-closed contacts of the switch. Reed switch can be used as sensor for count, limit and other purposes. For instance, a kind of bike-kilometer is constituted by sticking magnetic to the tire and mounting reed switch aside. We can mount reed switch on the door for alarming purpose or as switches. Reed switch has been widely applied in household appliances, cars, communication, industry, healthcare and security areas. Furthermore, it can also be applied to other sensors and electric devices such as liquidometer, door magnet, reed relay, oil level sensor and proximity sensor (magnetic sensor). It can be used under high-risk environment. 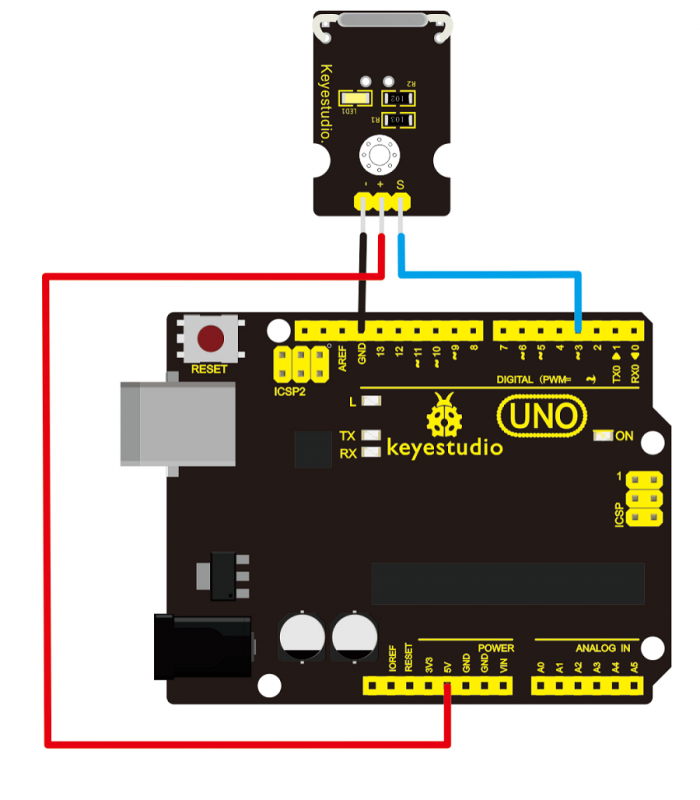 Copy and paste the below code to Arduino software. Done wiring and powered up, upload well the code to the board. You can see the D13 led on UNO board is on. Then we put some magnetic balls close to the sensor. 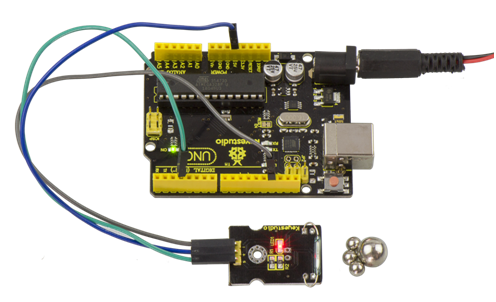 When the sensor detects the magnetic field signal, the led on the sensor will be turned on but D13 led will be turned off. This page was last edited on 19 April 2019, at 08:25.